Both the blurb and the author biography of my 1980s edition of Jacob’s Room by Virginia Woolf state that this novel was her first “mature work”. Twice on the outside of this small novel the reader is informed that Jacob’s Room marked Woolf as a true modernist and was the real beginning of her acclaimed career. I don’t understand why it does this, as reading the novel is evidence enough: it is a text where a reader gets to witness a talented and experimental novelist finding a style, a “voice”, a tone. 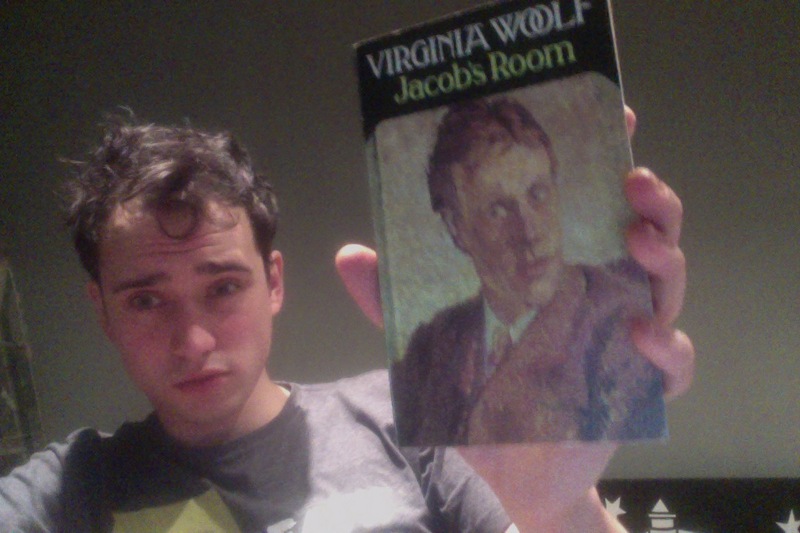 Jacob’s Room is a great little novel – but it’s not quite as stunning as Woolf’s writing became after it. Jacob’s Room is a novel about a young man, Jacob Flanders, and it covers his life from the age of about ten to his late twenties, when he is sent off to fight in the First World War and, presumably, dies. Jacob comes from a reasonably affluent background, he attends a good public school, goes to Cambridge University, sails to the Sicily Isles one Summer holiday, moves to London, has romances, reads a lot of literature, travels to Italy and Greece, has an intrigue with a married woman, returns home, finds the women he liked before far less appealing, wanders round London a bit more, then goes off to fight and doesn’t come back. It’s a very typical plot for a British, literary novel from the first half of the twentieth century, but rather than feeling like a staid and clichéd example of a well-worn* trope, Jacob’s Room feels like a fresh and unique way to tell a not particularly unique story. Though, to be fair to Woolf, this was published in 1922 and may well be one of the first examples of a (now) unoriginal story. The novel does not present a straight-forward narrative, instead it bounces between the many people and places associated with Jacob. Perspectives frequently shift – from his mother to his mother’s friends, to his own friends, to his lovers, to the parents of his friends, to the local vicar of his childhood who becomes a senior minister by the end of the novel, to his brothers, to people who are met in passing and then wander off to do something else… The book, oddly, reminded me of the tracking camera of the film Birdman, where the viewer gets several insights into minor characters before the camera spins back to the central figures. Woolf’s novel is full of asides, is full of many moments other novelists would cut. It forms a sketch of Jacob, constructed from his own thoughts and the thoughts of others. But as well as the character, his world and society are constructed, too. Though there are many brief scenes where Jacob is neither present nor discussed, these all furnish an idea of the kind of people he encountered. The composition is brave, and evocative, but it isn’t ultimately as successful as the similar technique Woolf used in the novel that followed, the sublime Mrs Dalloway. Because what Woolf deliberately constructs is a “sketch” of Jacob, of a man of an age and type and class, there is a certain humanity lacking from him that made me far less emotionally involved than I’m used to being when reading Woolf. But this is brave, experimental, work, and she harnessed this character-shifting and was able to use it to phenomenal effect in Mrs Dalloway, which (in my opinion) is one of the English language’s finest novels. A great read, and a pleasant example of a writer coming into maturity – the shadow of something life-changing, but not quite there yet. * As in “well-worn” meaning showing signs of overuse, not “well-worn” meaning “she wore it well”, like about a shawl or something.